How’s your Monday going? It’s still pretty hot here, 100 degrees outside currently and dry. 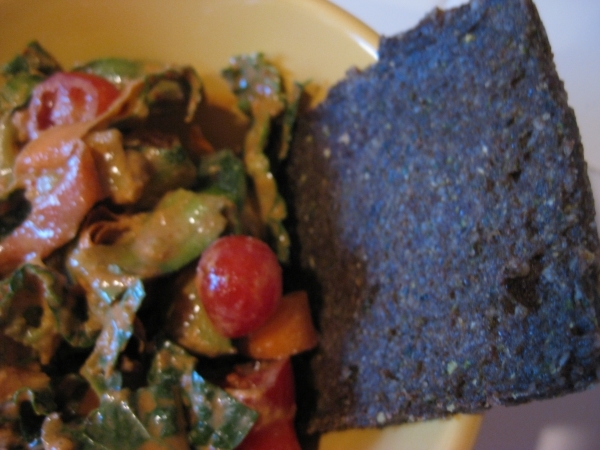 The type of weather that makes maintaining a high raw diet easy because cold foods are much more appealing. Yesterday I decided to make our AC work even harder by running the Excalibur all day loaded with more squash chips, tomatoes, fruits and Ani’s zucchini bread recipe from Ani’s Raw Food Essentials. 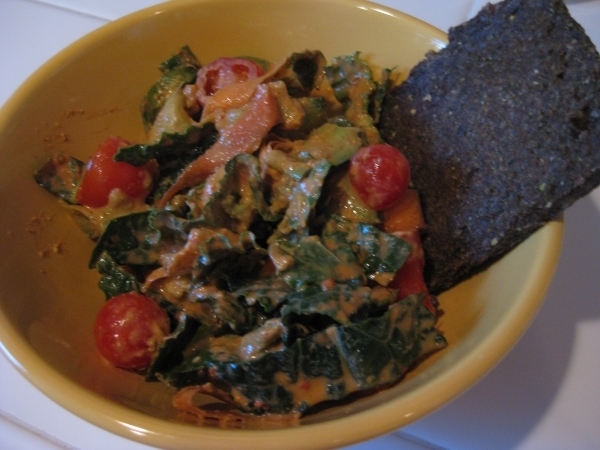 But I didn’t follow the recipe exactly because it called for almond meal – or almond flour which is expensive to buy and massive PITA to make at home requiring almonds being soaked to 8+ hours, then dehydrated for 24 hours, then ground up. 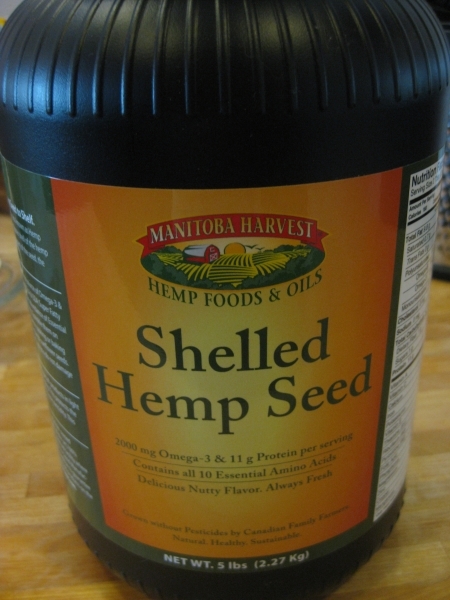 I suppose almond milk pulp would be fine too, but I still have a fridge full of hemp seeds. 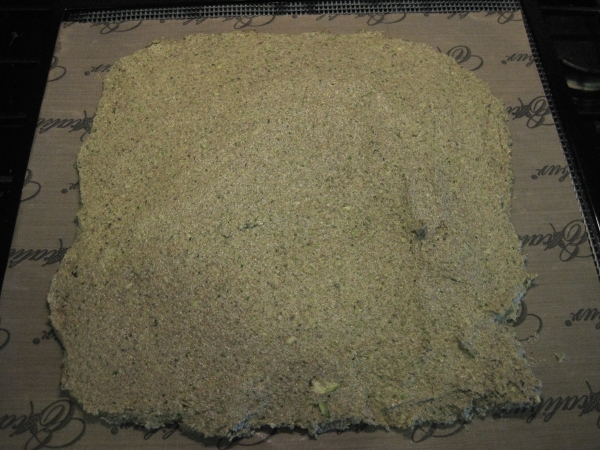 I substituted the almond meal with hemp seeds and the dough was still easy to spread on the dehydrator trays. 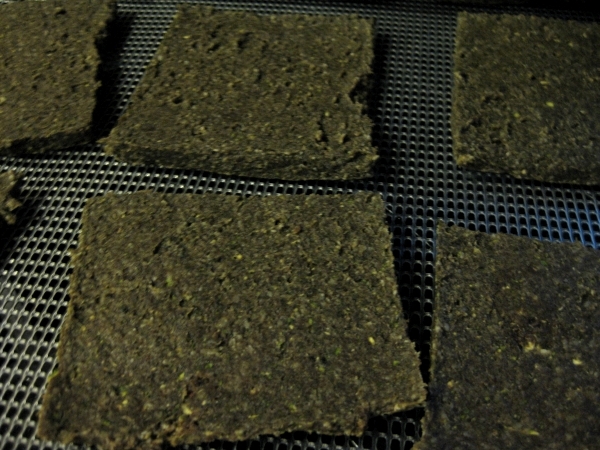 After drying it for 6 hours, I flipped it, sliced into 9 pieces and continued drying all night. The finished bread was still pliable and moist, it seems like it would be hard to over-dry because of the olive oil used in the dough. I packed two slices for lunch today and put the rest into a freezer container as part of my quest to find raw bread recipes I make a large batch or at once and store in the freezer. I had a piece with leftover nacho salad for lunch. The bread was very good with a mild, nutty flavor with undertones of fresh zucchini. 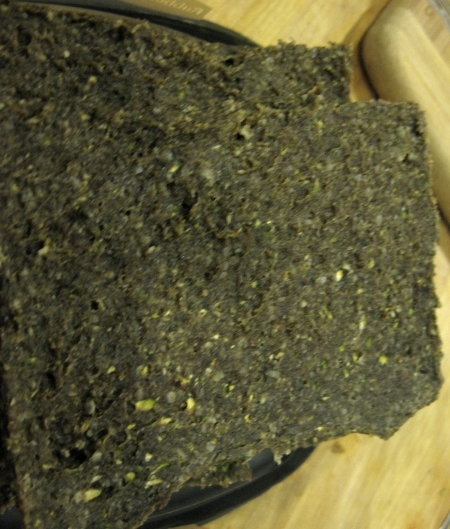 The texture was thick and a little chewy, but it would easily make a sandwich supporting the weight of thick avocado slices, nut butters, veggies, etc. The flavor is such that could go either way, savory or sweet. I might add some spice next time, maybe a little chipotle seasoning, but overall thumbs up. For dinner I revisited an orange lentil recipe I’ve been perfecting – the last time I tried I used was too many oranges, to the point it was bitter. Oops. 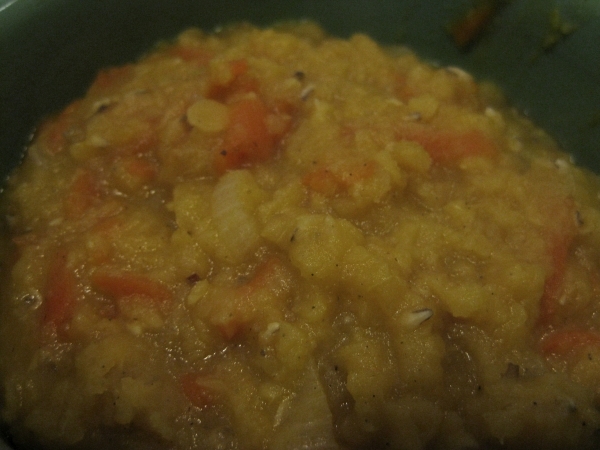 This time I throttled it back, but overcooked the lentils a bit and for orange lentil mush. It was good, the orange flavor wasn’t crashing the party this time and it had a smooth texture that worked well for me, I’m not a huge fan of crunchier beans. But, the recipe is getting there. I love the sound of the zucchini bread! I’m in the process of getting a dehydrator- have finally persuaded the husband that it’s worth the expense. But it’s difficult to find one cheap enough in the UK. Will so be trying the bread when I do have one though! Hi Sarah, it too me awhile to justify the cost of an Excalibur Dehydrator too, I saved for about 6 months for it. Get the huge 9 tray if you can because it’ll fit bowls to warm. Ugh, sorry about your weather! Sounds like Florida weather and trying to sleep without AC was brutal! Wow thats some hot weather!!! Eating raw is so appealing in the summer, I too agree. That bread looks so good!!! You are always making things that I would love to eat!!!! I like the idea of combining orange and lentils! It was really good, the orange flavor was mild, but fresh and perfect for summer. I’ll post the recipe soon. oh i love your raw bread! yum…..hope you are having a great summer christine. send me some heat!